Bharti Airtel today reaffirmed that it will continue to make significant investments to further expand its operations and network footprint across Assam and North East. 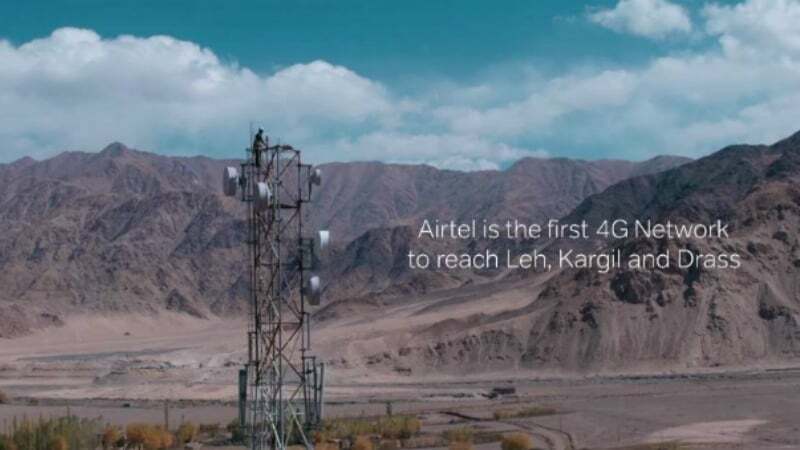 Under Airtel’s Project Leap, the company is planning to roll out 6000 new mobile sites across the region in FY2018-19, with the aim of stepping up Network capacity and taking services deeper into rural and unconnected areas. This rollout will effectively translate to the deployment of 16 new Airtel mobile sites per day across the region. With this planned rollout, the number of Airtel’s mobile sites across Assam and NESA will go up by 31% to 25,000 and considerably enhance the network experience for customers. Airtel also plans to deploy 3000 km of fresh optic fiber in the region to take its fiber footprint to 16000 km. The addition of fresh fiber capacity will support the growth of high-speed data services in the region. Bharti Airtel is the top telecom operator across Assam and North East and is trusted by over 12.4 million customers. For the unaware, Airtel was the first operator to launch 3G and 4G services in the region. Airtel is covering key urban, semi-urban and rural areas including highways and trade centres across the region. The leading telecom operator has the widest network footprint with network coverage even in remote locations like Lumla (Arunachal Pradesh), Tuipang (Mizoram), Dawki (Meghalaya) and Longwa (Nagaland). Back in December 2017, Airtel had signed an agreement with the Department of Telecom (DoT) and Universal Service Obligation Fund (USOF) for the provision of mobile services in identified uncovered villages and national highways in the North Eastern States of Assam, Manipur, Mizoram, Nagaland, Sikkim, Tripura and Arunachal Pradesh. As per the agreement, Airtel will set up over 2000 mobile towers/sites in unconnected pockets of the region and deliver telecom connectivity to citizens in over 2100 villages over 18 months. Vodafone is the leader in this region. Do anything you want. People ain’t switching. As Airtel had a bad reputation in this region of deducting balance without consent since ages now. And it’s customers service is also pathetic here. Everyone I knew using Airtel ported to Vodafone and Idea. Jio is very very good in NE. Might even dethrone Vodafone IMHO. Airtel was not very relevant historically in NE. I got full coverage of Jio in Kaziranga. No other operator had one single bar. Jio is better in remote area than on cities. At cities speed is terrible due to heavy traffic consumption.